Can you believe it is March already? I can't believe how fast time has been flying lately, but this time of year, I am certainly not complaining! I am so ready for the 4+ feet of snow to melt, for the sun to shine and the temps to go above freezing! I am in desperate need of some Vitamin D, but I don't like to be cold, so my outdoor time these last few months is severely lacking. Even though, when all this snow melts it will be crazy muddy outside, I will throw on some boots and spend as much time outside as possible! I miss it! 6. Fitbit Goal 10,000 steps, 5x/week - never put the Fitbit on...oops! 1. Letters & Pictures to family - Moved from February - I never got a chance to send out letters and the kids pictures last month, and sadly, I still have Christmas Thank you cards to send out. This month, I must make the time for this! 2. Organize Digital Photos - Moved from February - I need to decide on a system that will work for my photos. Where and how to organize them! 3. 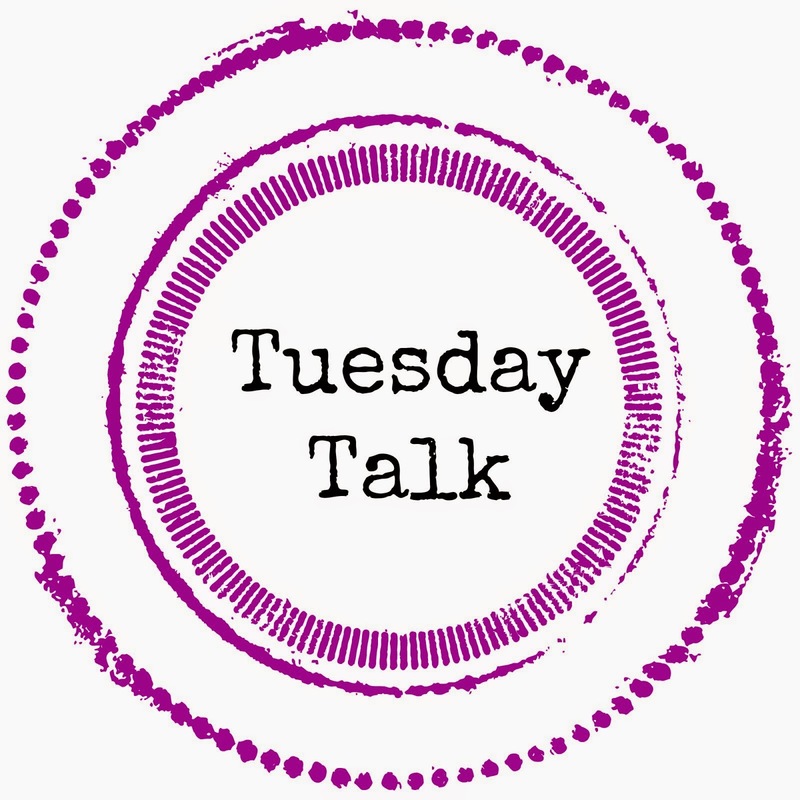 Get in 5 - 25 Minute workouts each week - I am starting back up with T25 and my goal will be to get in 5 workouts during the week. I am not saying that I am going to workout at least 5 days, because sometimes things come up, so some weeks I may need to double up a day. The goal is to do 5 workouts whenever I can fit them in! This week, when I meal planned, I also planned out my exercise, you can check that out here. 4. Drink more water - this is pretty self explanatory. I have fallen off the water drinking wagon and I need to get back on! 5. 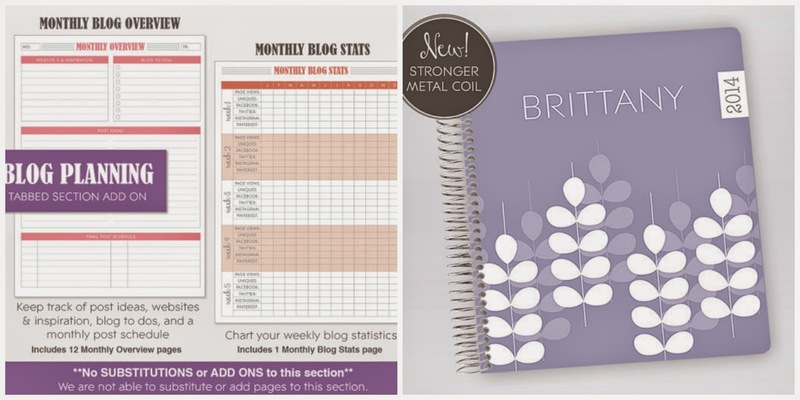 Organize my blog tasks for better efficiency - I ordered a notebook with blog planner pages in it. from Plum Paper on Etsy. I should receive it in 2-3 weeks and I can't wait! You can find the Notebook, I chose here, but they have tons of different designs. 6. Learn to love myself - This is a biggie and I will be talking about this more in a post coming up. 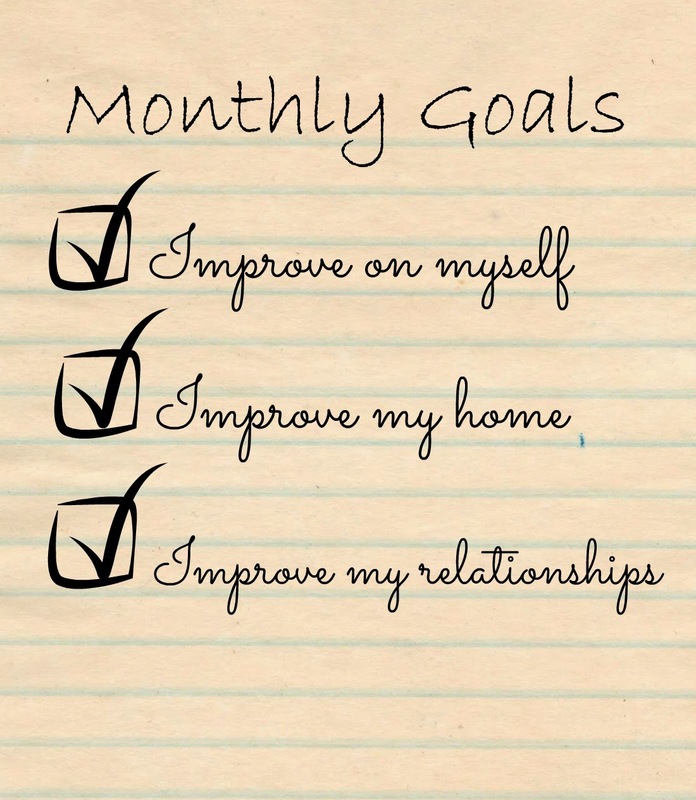 I find that setting goals help me keep track of where I am and what I have achieved so far. Very insightful post! Thanks, Char! So glad you stopped by! One of my goals was to drink more water too! Good luck on all your goals! It can be so hard, right? Good luck to you as well! One of my goals for New Years was to drink more water too! I bought a pitcher from the dollar store and fill it up each night to help keep track of how much I am drinking. It really helps! I need to send out pictures as well! Good luck hitting all of your goals this month! That's a good idea for the pitcher! I do have a gallon container in the fridge, but of course, I just end up getting it from the front of the fridge and forgot to keep track! Good luck to you as well!! Goals are something I'm really working at sticking to now that I have a newborn! 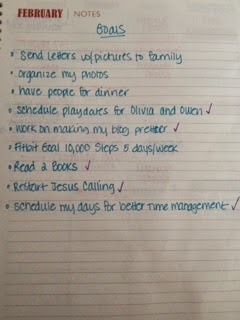 But it feels SO so good to check them off that it's not nearly as hard as I thought it would be. Good luck to you, you're kicking booty! 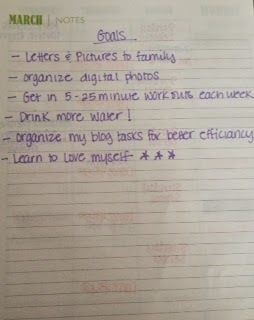 I'm always setting goals for myself, and never quite attaining them. I love you post and have inspired me to make sure I aim to reach my goals from now on! I am so glad to hear it! You can do it!! Thanks for stopping by! Such great goals! To achieve my water intake goal. I purchased a bottle the holds my daily consumption of water and take it every where I go. Love the 'learn to love myself' one! Monthly goals work so well for me. Good luck with yours. Organizing the photos is a big one. I'm still working on 2014. So many pictures hah! I love the planner! So cute! Maybe next month I'll start with the monthly goals. I love that idea! I have a "Honey do" list that's really for hubby and I. I could make that and just cross little things off as we get them done! Drinking water was a biggie for me. I've been buying lots of fresh lemon and limes to keep my water "interesting".